The Centers for Medicare and Medicaid Services (CMS) recently posted, Merit-based Incentive Payment System (MIPS) 2018 Assignment Methodology Specifications for the CMS Web Interface and CAHPS for MIPS Survey. This report describes the process used by CMS for assigning beneficiaries to a group or a virtual group participating in the Merit-based Incentive Payment System (MIPS). Assigned beneficiaries are used for CMS Web Interface reporting, the Consumer Assessment of Healthcare Providers and Systems (CAHPS) for MIPS survey, and in cost measure calculations. 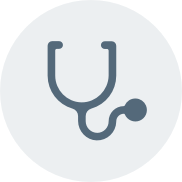 If a beneficiary receives at least one primary care service by a primary care clinician who is part of the group or virtual group, the beneficiary is eligible to be assigned to the group or virtual group. For those beneficiaries who do not receive primary care services from a primary care clinician, CMS assigns a beneficiary to the group or the virtual group if the beneficiary receives the plurality of his or her primary care services from clinicians who are not primary care clinicians within the group or virtual group. Check-out the CMS Resource Library for additional MIPS-related resources. For more information visit the McDermottPlus Payment Innovation Resource Center or contact Sheila Madhani at 202-204-1459, smadhani@mcdermottplus.com.